Opening for the season on Thursday, April 25th at 5 PM. Now Hiring for all positions! Please email us to setup an interview. 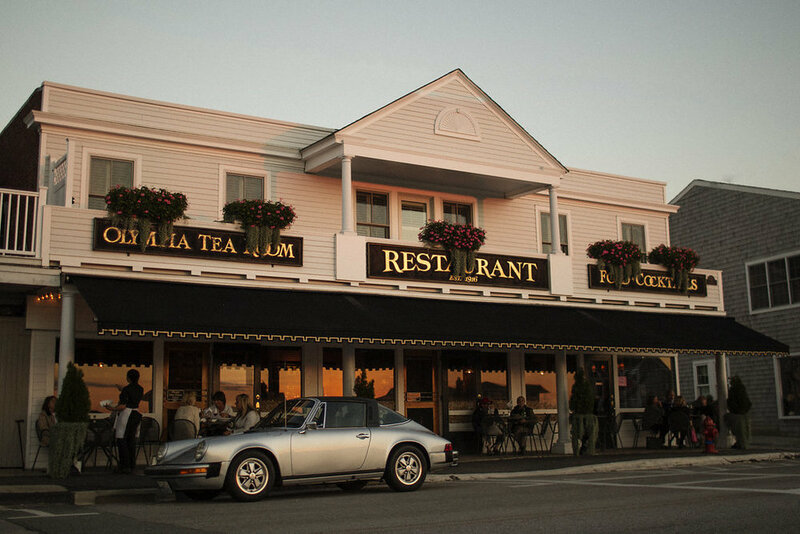 Celebrating over 100 years, the historic Olympia is a family-owned and operated restaurant in the beautiful village of Watch Hill, RI. At the Olympia we are committed to serving elegantly simple, locally sourced food and the most generous cocktails in Watch Hill. Our extensive wine list offers scores of award winning wines by the glass and hundreds more by the bottle. 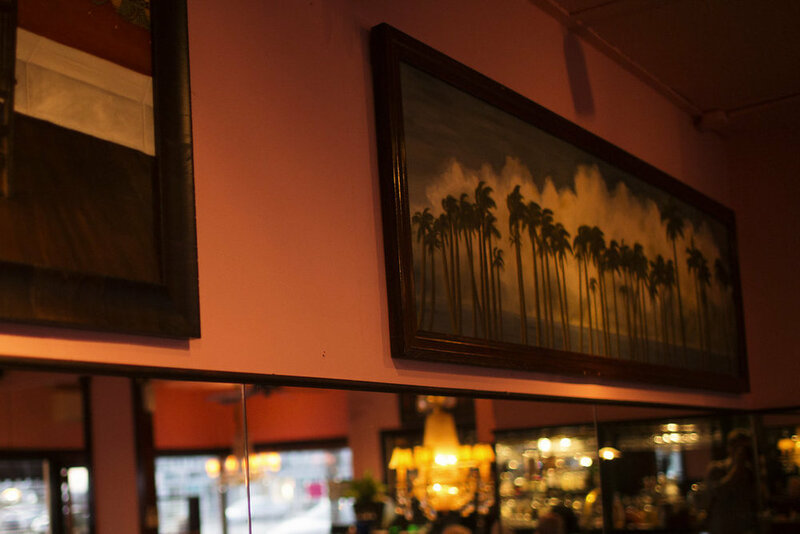 Enjoy our sidewalk cafe or relax in one of the antique mahogany booths surrounded by the Olympia’s provocative art. The Olympia offers great wine, attentive service and delicious food to create a unique, seaside, wine and food lover’s destination for travelers and locals alike. As always the “sunsets are complimentary". We look forward to seeing you! 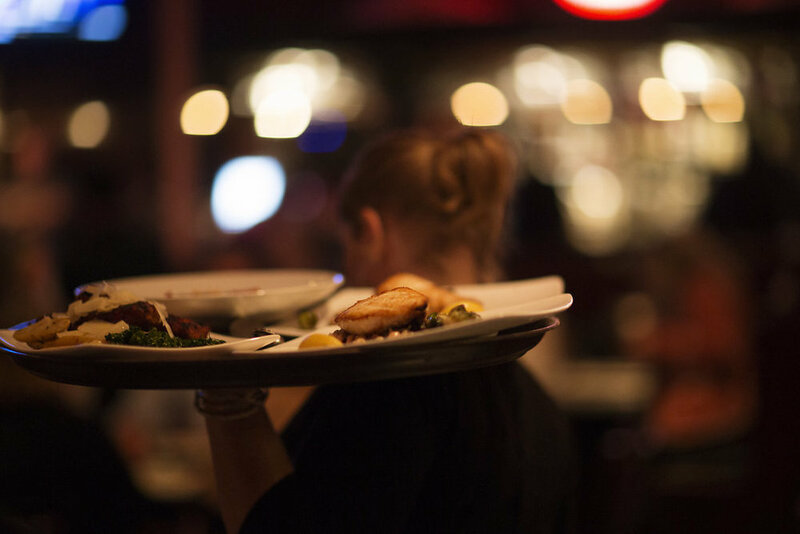 We do not accept reservations or private parties! Thank you! Take Rte 95 South to Exit 1. Take right onto Rte 3. Go approximately 4.5 miles. Take left onto Rte 78 (Westerly Beaches). At the intersection, go straight onto Airport Road. At the first stop sign, continue going straight. At the second stop sign, take a left. Go 3.2 miles on Watch Hill Road to the Village of Watch Hill. The Olympia is in the center of town on the left. Take Rte 95 North to Exit 92. At the end of the ramp, take a right. Go approximately 1 mile. Take a right onto Rte 78 (Westerly Beaches). At the intersection, go straight onto Airport Road. At the first stop sign, continue going straight. At the second stop sign, take a left. Go 3.2 miles on Watch Hill Road to the Village of Watch Hill. The Olympia is in the center of town on the left. Click Here for Map Quest Directions. 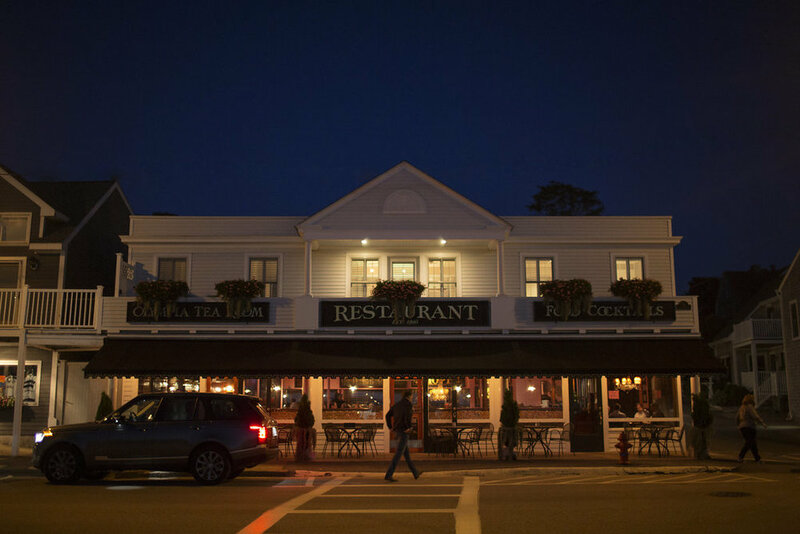 The Olympia Tea Room celebrated our 100th season in 2016. As a 100+ year old institution in the town of Westerly we have received some recognition and praise from our local news providers and we want to share that with you! Thank you from the bottom of our hearts!